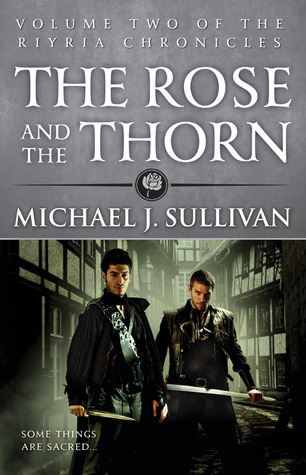 Audible put more 470+ titles on sale for $4.95 - $6.95, including the first two books in my Riyria Chronicles (The Crown Tower & The Rose and Thorn). 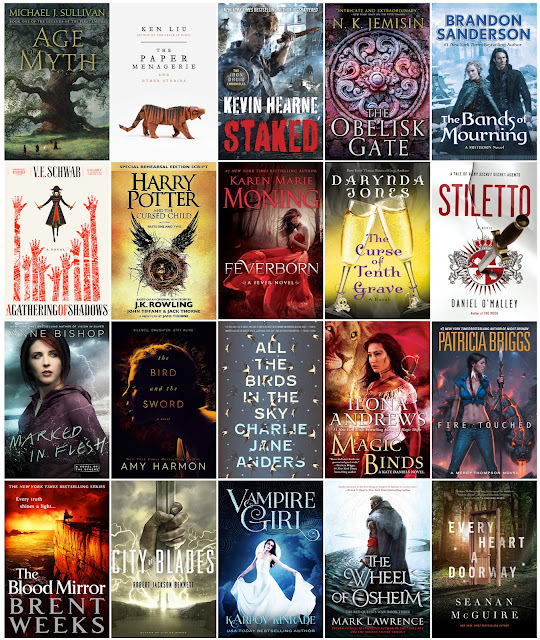 A few days ago I picked out some titles that I though my readers might enjoy, but since then they added 116 more! 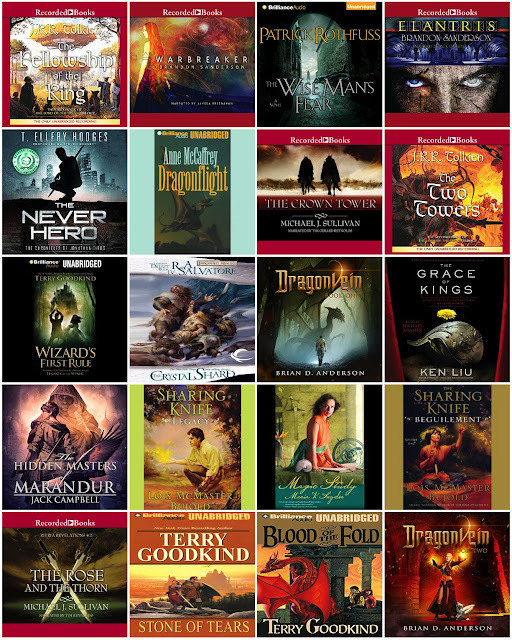 It's difficult to go through the whole list, so I set my search to the Epic Fantasy category and went through the first few hundred top-sellers. Here is what I found on sale. But if you want to get any of these titles. Act quickly, sale ends today at 11:59 PM PT. Here's some information about the titles I'm highlighting to help you decide which ones to pickup. But you have to hurry. The sale ends 11/29 at 12:00 Pacific Time. I'll admit, I'm not a "Black Friday" shopper. I certainly don't want to deal with traffic, parking, or fighting someone for limited quantities of deeply discounted merchandise. So I had a nice relaxing day after Thanksgiving staining doors for the cabin. I am, however, a big fan of Cyber Monday, and almost all of my holiday shopping is performed from the comfort of my computer. For the second year in a row, I've joined with a group of fellow authors to offer some fantastic holiday deals. Discounted books are always a good thing, but we've gone a step further and are providing signed copies--something that can be really hard to get unless you travel to the various conventions where we hang out. I should mention that because all of us are selling books (and for some, merchandise) directly from private websites, we're cutting out the middle men. Yes, our publishers will get their cut (we buy the books from them), but by eliminating the retailers, more of your generous support goes to us, the people who actually create the stories. So, not only do you get signed and discounted books, but we earn a bit more coin than if you purchase online or from brick-and-mortar stores. The deals are set by each author, so they'll vary from site to site. Click on each author's name to see their discounts. You can use this link to see all books on sale. For my part, I'm offering 20%- 50% savings on print editions and a 60% savings on ebooks. Click here to get your special savings. 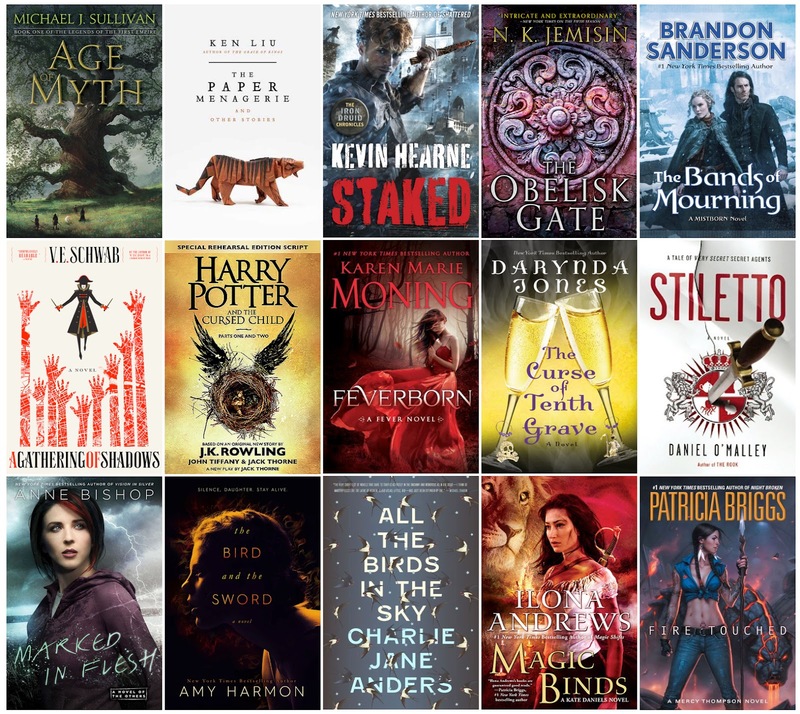 Whether you want to stock up on some great fantasy and science fiction for yourself or are looking for a special gift for your favorite avid reader, check out the savings and act quickly. The sale ends December 15th. 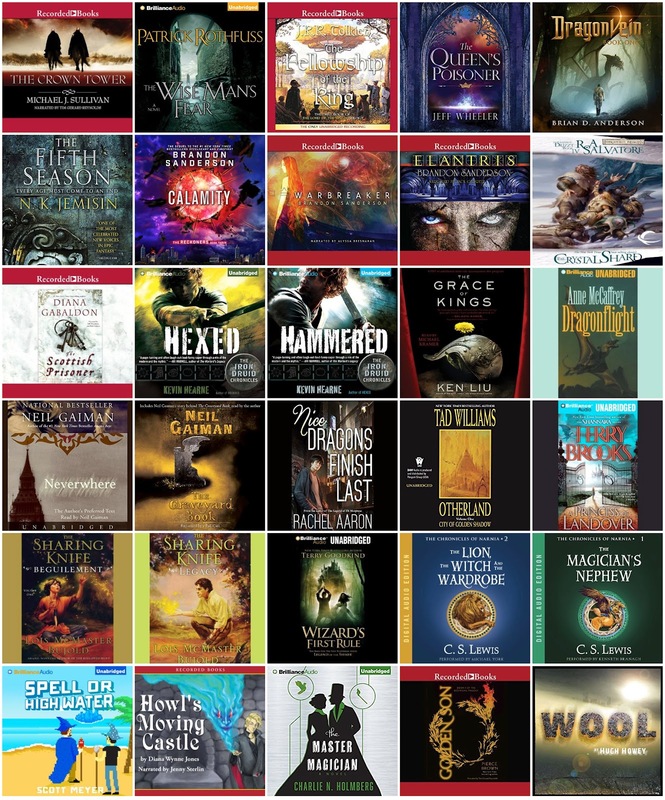 With 472 discounted audiobooks, it'd be tough not to find something on your wishlist as part of Audible's Black Friday Sale. I'm so pleased that one of mine (The Crown Tower) is one of them. With so many for sale, it's hard to choose which ones to focus on, but here are the ones that caught my eye, and hopefully one or more of them will be books you've been considering. For those that prefer text rather than pictures, here are the books along with some data about their release date, rating, and number of reviews. If you're like me, these lists are great for growing the TBR lists. And Christmas is just around the corner, so if you see something you like, tell Santa. Who knows, he might just stuff your stocking with some good reads. 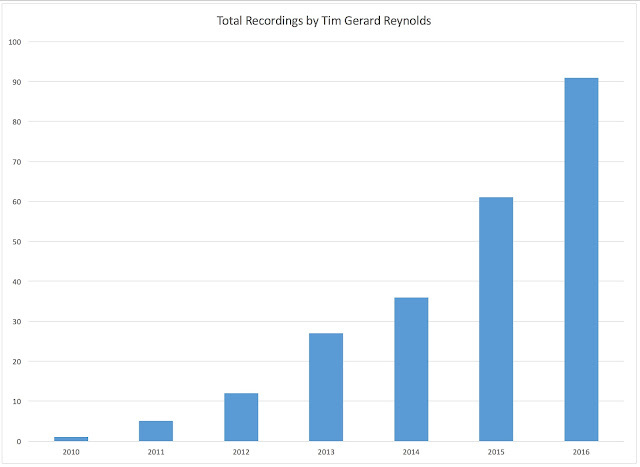 It's been nearly two years since Audible took stock of their best narrators, and when they did, Tim Gerard Reynolds made the list! Anyone who knows me is familiar with my undying respect for Tim's work. I consider myself honored to have him as a fellow collaborator. There's no doubt he is the voice of Riyria. Wait, I take that back, because it's too limiting. Tim is also rocking the voices for the Legends of the First Empire series, so I guess I have to call him the voice of Elan. Tim's body of work has grown by leaps and bounds since his first release in July 2010. Theft of Swords was Tim's 6th recording and it was released in March 2012. Today he has more than 90 titles! So, if you've not heard Tim Gerard Reynolds yet, what's holding you back? If you have, then you already know how awesome he is. Either way, try one of these or any of the other books he's narrated. I haven't found any that aren't absolutely fabulous. This round of voting will go through the 27th. And then we'll have our winner! Don't forget to vote for your favorite of 2016! More than 2,400,000 people already have. Voting for the U.S. Presidential election is over, but the second round of the Goodreads Choice Awards has opened. Five books were added through write in, and even if you voted in round #1, you can vote again for round #2. Here's the new list of 20 books in the running. I was interested to get some stats on the 20 books in the running, so Robin was nice enough to pull that data for me. Interesting stuff in there! This round of voting will go through the 13th. And then the field of 20 will be narrowed down to 10 for the final round. You don't have to vote for my book, but please vote for your favorite of 2016! And we're done! Thanks for making The Death of Dulgath Kickstarter such a huge success. Thanks to all the amazing backers that not only made The Death of Dulgath Graphic Novel a reality, but their generous support also made the project a huge success. More than $37,000 was raised from 801 backers!! The final two days saw nearly $8,000 in additional support, so we hit the $35,000 stretch goal. As always, the Kickstarter was a great time, and I'm so glad that the backers will not only get an exclusive version of the book, but also some great bonus swag. Now we need to get the book produced. The team is solid and I can't wait to see what they come up with. Thanks again for all the backers, and if you missed the Kickstarter, there may be ways you can pre-order the book through a separate store. More on that soon. I think aspiring authors are always looking for good advice. Jay Dee Archer recently asked a bunch of authors to relate our best advice, and he compiled it all in a post you can find here. There's a lot of good stuff mentioned and not just from me. 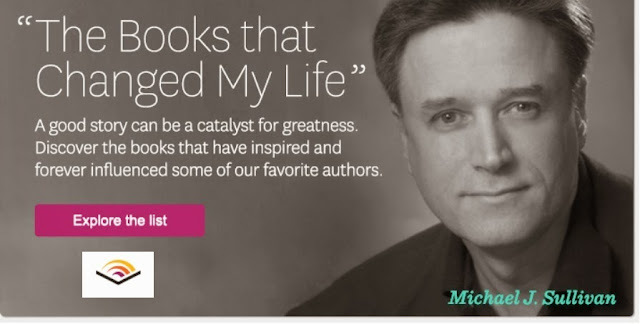 Stop on over to find advice from Mark Lawrence, Djano Wexler, and over a dozen more. Good stuff all. 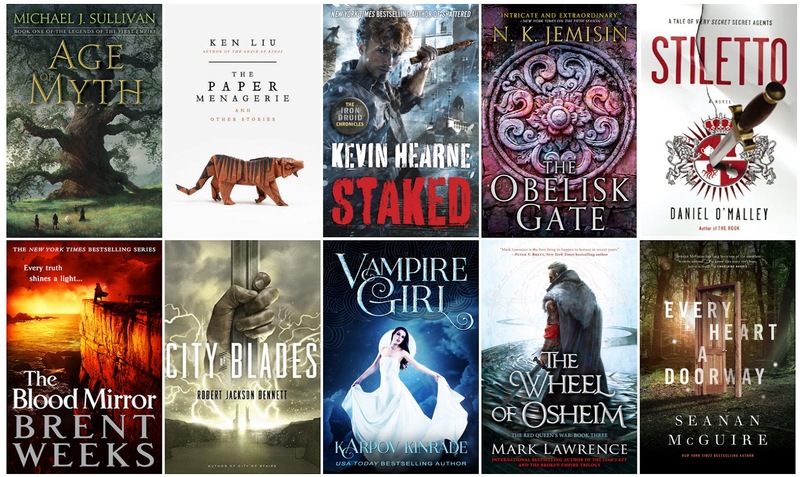 Age of Myth is a Goodreads Choice Award Nominee!! Have I've mentioned lately how much I love Goodreads and the bibliophiles on that site who are so passionate about books? I'm thrilled that 2016 brings me my 5th nomination!! (Also nominated in 2010, 2011, 2012, 2014). Here's a breakdown for those who prefer text rather than pictures.It's a pretty amazing line up, and I'm honored to be included. 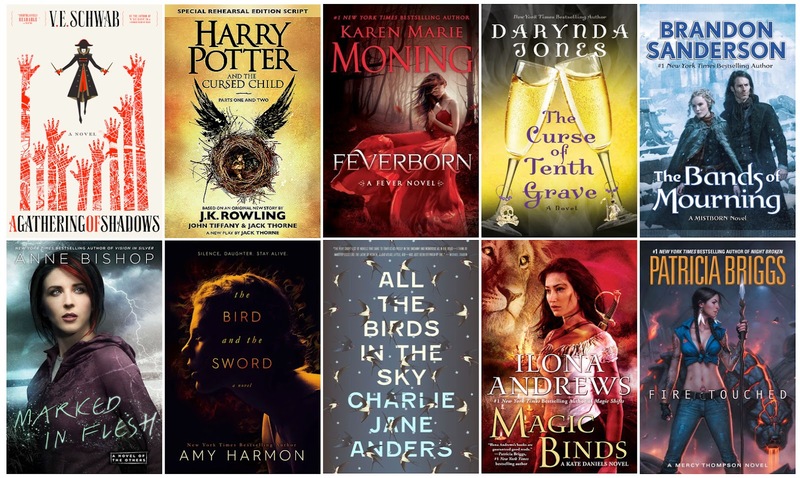 During the opening round, Goodreads will be accepting "write-ins" and five more books will be added to the list for the semifinal round of voting. So if you don't see your favorite, consider telling Goodreads about it. The only requirement is publication date and it should be from Nov 2015 to Oct 2016. The second round will see voting for the full group of 20. Then the field will be narrowed to 10 books for the final round. I don't expect to win, being nominated is honor enough, but if possible I would like to make it to the final round. We'll see if that happens. I'm not going to ask for your vote. 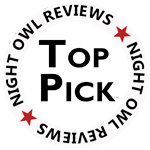 I want you to pick the book that you think deserves to win (no matter what that is). 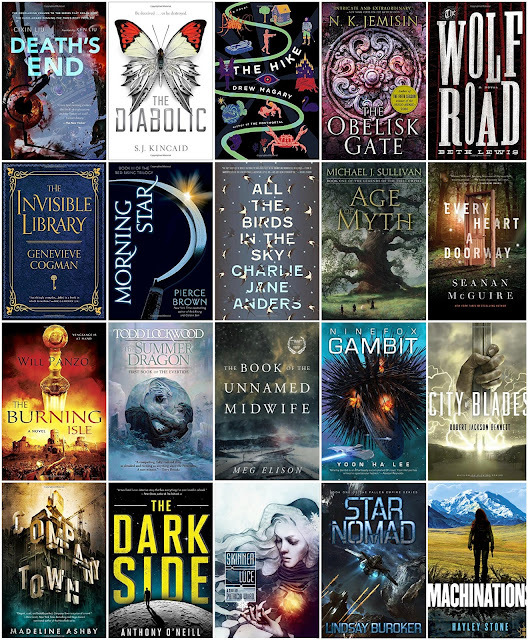 But please do vote in all rounds so your favorite book has the best chance at being named the best fantasy book of 2016. As far as I know, this is the only award that is a "people's choice" (selected based on votes of readers). As such, it is the most important award that I can think of.